The 24th Meeting of the Conference of the Parties (COP24) to the United Nations Framework Convention on Climate Change (UNFCCC) was held from 2-15 December 2018 in Katowice, Poland. 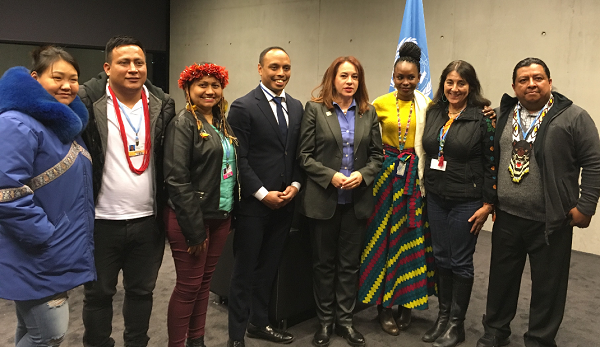 Many indigenous peoples’, community-based and civil society organisations and networks participated in COP24, including some Members and Honorary Members of the ICCA Consortium. Although delegates arrived in Poland with high hopes for ambitious decisions on national contributions and human rights, especially as the meeting coincided with the 70th anniversary of the Universal Declaration of Human Rights, they ultimately left disappointed. One of the more positive outcomes of COP24, however, was the decision to establish the Local Communities and Indigenous Peoples Platform Facilitative Working Group, testament to the sustained participation and action of indigenous peoples and community representatives within and beyond the UNFCCC corridors.